It’s never too early to focus on your kid’s nutritional needs. The real question is: How and when can they get what they require? The first meal of the day is a good time to give your children at least one food high in fiber. Follow the “rule of threes” by offering three of the five food groups. Whole-grain breads or fiber-containing cereals, and fruit and cheese or yogurt are all great options. If you can, skip the fruit juice — it’s typically high in calories and sugars and has fewer nutrients than whole fruit. And of course, don’t forget the milk! Use whole-grain breads and rolls to make healthier sandwiches. Whole grains increase the total fiber in your child's diet and are less processed than enriched white bread. Give your child whole-grain crackers with soups, and always serve fresh fruit (with the skin) with meals instead of chips or other high-calorie, low-nutrient side dishes. Be sure to serve milk with the meal. One of the first rules of a healthy dinner is to include a mix of the big three: carbohydrates, protein, and fat. Carbohydrates should come from at least one fruit or vegetable, or a whole grain; protein should be lean, and fat should be heart-healthy, like olive oil. Many nutrients make food colorful — so if your dinner plate is vivid, you’re on the right track. Lose the junk food and get out the healthy (and tasty) snacks! Check out these kid-friendly snack ideas that will keep you and your picky eater happy. Healthy Treats: Sneak some fruits and veggies into your kid’s favorite baked goods. Banana bread, zucchini muffins, and carrot bars are a few ways to disguise foods that might otherwise get a big “Yuck!” from your picky eater. Whole-Grain Cereal: Vitamins, calcium, and fiber make a bowl of enriched cereal with milk and fresh fruit a power-packed snack that’s sure to keep your kid smiling. Crunchy Snack Mix: Throw together a healthy combination of nuts, pretzels, cereal, popcorn, and banana chips for a tasty, portable snack. Nuts contain minerals — like magnesium, iron, and zinc — essential to your child’s diet. Veggies and Dip: Children love anything that’s hands on, so dipping is always a good idea. Carrots, celery sticks, cucumbers, and cherry tomatoes will disappear before your eyes if there's a dip to go with them. Try low fat ranch dressing or hummus. Peanut Butter: Peanut butter is packed with fiber and protein. Try spreading it on whole-wheat crackers or celery stalks, and top it off with some sweet and chewy raisins. 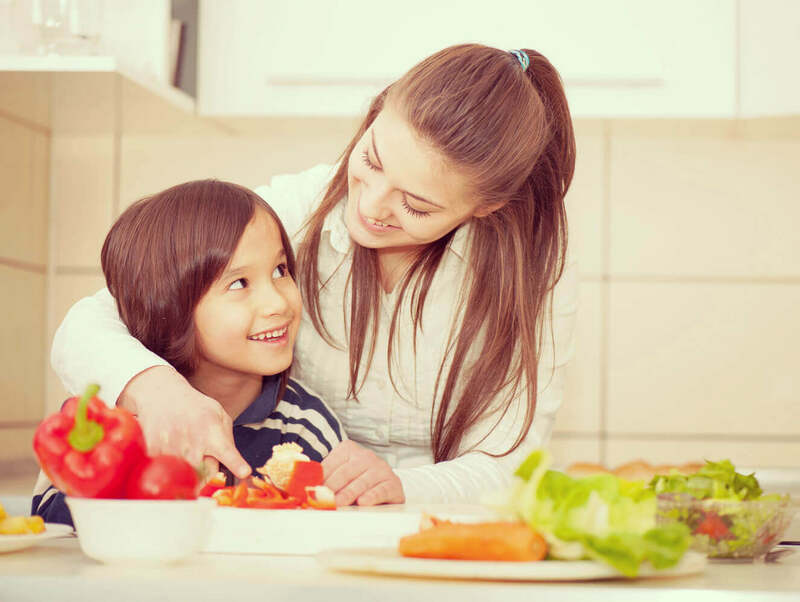 By broadening the menu and providing a variety of tasty yet healthy foods, you not only ensure better nutrition for your child, but also encourage better eating habits to carry on through life. Looking for mealtime ideas? Check out these picky eater recipes from moms like you.